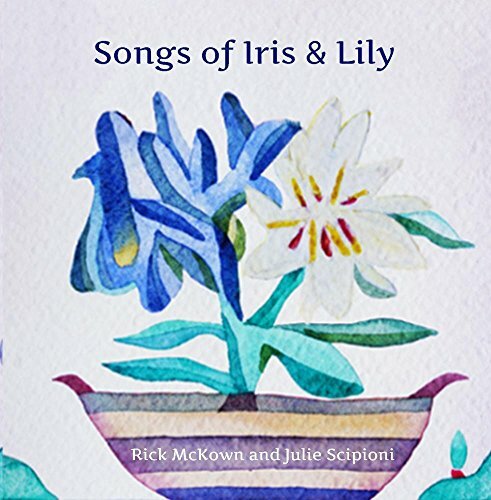 From soaring ballads to Latin-inspired instrumentals by guitar virtuoso Rick McKown, Songs of Iris & Lily has something for everyone. Iris & Lily is the novel written by Angela and Julie Scipioni. Events in the lives of the novel's main characters Iris and Lily Capotosti are - as are the lives of many of us - marked by powerful and unforgettable songs. Now you can enjoy the songs from the novel. The tenderness of a sister, the touch of a lover, the stories we share with those we treasure can bring us together, regardless of our physical distance. This powerful song hauntingly exposes the tragedy of intimate partner violence - a theme that weaves itself throughout the story of Iris & Lily. We all need someone to reach out and offer the hand of compassion. The strength we give is the strength we receive. A full range of life challenges play out on the stage of Iris & Lily. A dogged dedication to hope and integrity provides the backdrop to the drama. ... plus more tunes that are sure to quickly become new favorites. Julie Scipioni singing, "Lift Me Up" at the Festival della Communicazione in Camogli, Italy. Angela Scipioni reading from Iris & Lily at the Festival della Communicazione in Camogli, Italy.